UniXcape Mobility Solution is an enterprise mobility solution that extends SIP PBX feature of your existing PBX. The UniXcape Mobility Gateway consists of UniXcape Mobility Client Softphone, which allows you to make FREE voice / chat / video call to your existing PBX. UniXcape is an internet phone (VoIP), compatible with the SIP protocol. 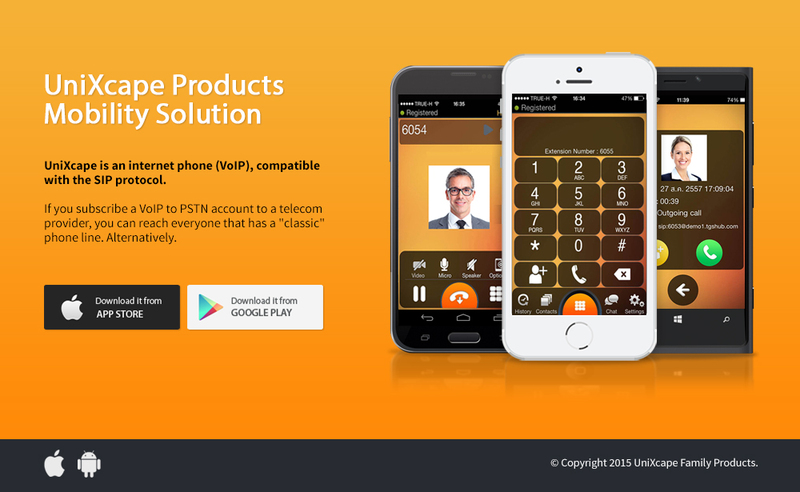 If you subscribe a VoIP to PSTN (=classic telephony) account to a telecom provider, you can reach everyone that has a “classic” phone line. UniXcape available on UniXcape Member only.